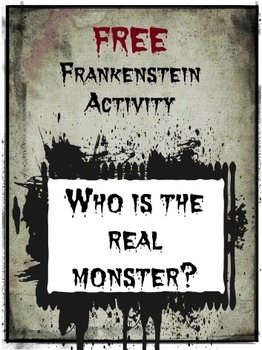 Who is the real monster in Frankenstein? This activity has been designed to help students to understand the creature’s character. Is he a friend, or is he an enemy? Is he solely responsible for his misery? This activity helps to develop students’ argumentation skills in a fun and meaningful way.